I’ve been a bookworm since I could hold a book. Between my dad and Dr. Suess, I was breezing through rhymes and learning to recognize words from the time I could talk. The love for reading never changed but the time available to read changed drastically, especially when I began to work full time and write books on the side. I know I’m not the only one juggling a hectic schedule (can I get an amen?). As writing time increased, reading time decreased until it trickled to almost nothing with the exception of the occasional holiday. For a writer, reading is mandatory. It ranks right up there with learning proper grammar. My writing began to suffer without a constant intake. 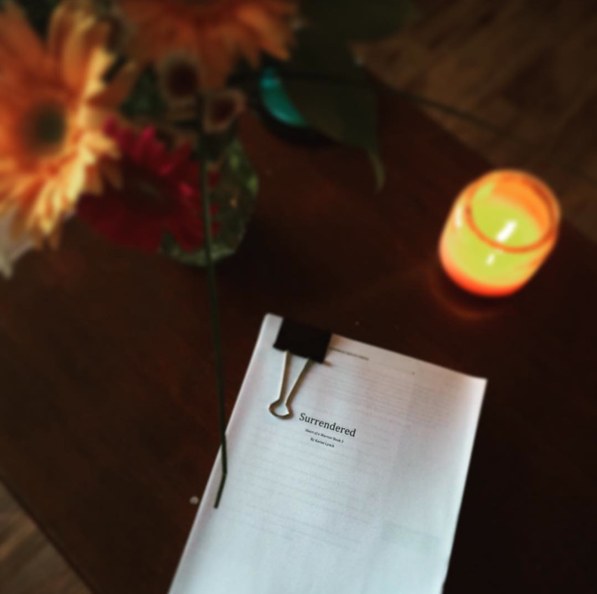 In May, I wrapped up writing Surrendered and hit pause on future projects. My tank read empty in glaring red letters. I needed fuel. I needed to rest and read. So I picked a genre I didn’t write, chose authors that are highly recommended but whom I’d never read, and I drank in the pages. Since May, I have read over 90 fiction books, and as I read, new stories came to mind. I remembered why I love writing. I remembered the power of a story. And I learned a few things in the process. As book after book came to an end, I began to read reviews and reader comments. I discovered what today’s reader loves in a hero, the longing in our hearts for something bigger and grander than ourselves, and the craving for romance to be earth-shattering and enduring. I specifically read YA and NA books. This audience is the rising generation of readers, and they are reading a lot. I want to know what they like and don’t like. Concentrating on this genre helped me spot patterns that I can now apply to my own writing. Every author has a different style, different voice, different way of thinking and dreaming, a different way of spinning the story on the page. Once again, I began to spot patterns from the author. I loved to identify reoccurring themes in their writing and then visit their author page to see if anything in their bio bled into their stories. I paid attention when my heart or brain keyed into particular language or how a specific story unfolded and made a note to incorporate elements of that in my own writing. One of my professors in college said that the best writers steal. I stole a lot this summer, but in the end, it shapes my own style, creating something unique. There’s something beautiful about unplugging and simply sinking into a story, especially one that is well crafted. My to-do lists and schedule fled as I jumped on the page and experienced the action with each character. Every time I put down the book, I rose more refreshed to tackle the world and more excited to unlock the stories bubbling within me. Reading helps me unwind and escape, but it also helps me dream. It makes me better. I’m wrapping up a steady season of reading and diving back into my edits for Surrendered, but I’m doing so with renewed energy. I’m excited to see what happens as I begin new projects. 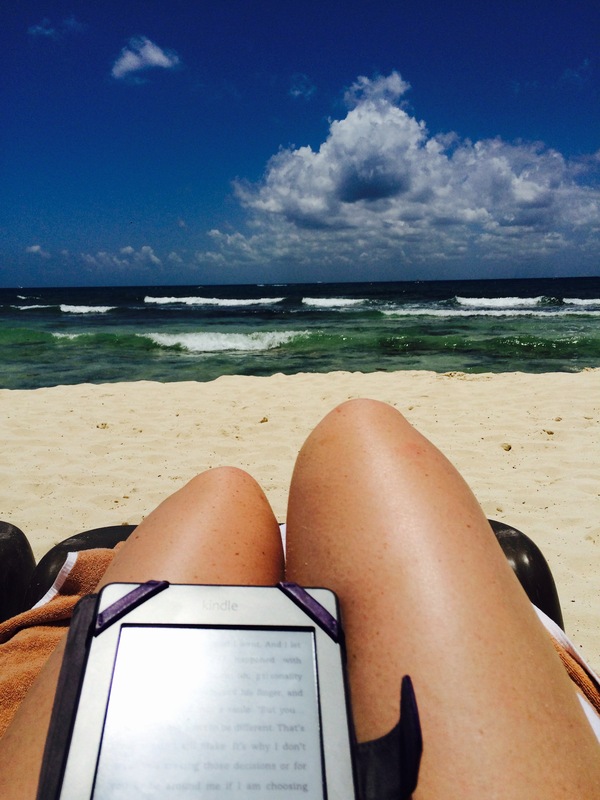 If you’re stuck on your manuscript and feel dry and drained with new ideas, get off your computer and grab a book. Dream a little. Rest a little. Learn a little. I promise it will be time well spent. Then jump back to your story and see what happens. This entry was posted in Encouragement, Fiction, Writer's Life, Writing, Writing Craft and tagged Heart of a Warrior, importance of reading, Kariss Lynch, reading fiction, Surrendered, writers are readers by Kariss Lynch. Bookmark the permalink. Hmm.. there’s a way your mind feels rusty when you don’t read. As good as the inspiration to write comes when you pick a pen or open a freash window, reading brings fresh directions, perspectives and oil to the rusty mind.